London’s in the midst of a pop-up frenzy. Combine that with the capital’s cycling boom and you’re on to a winner. 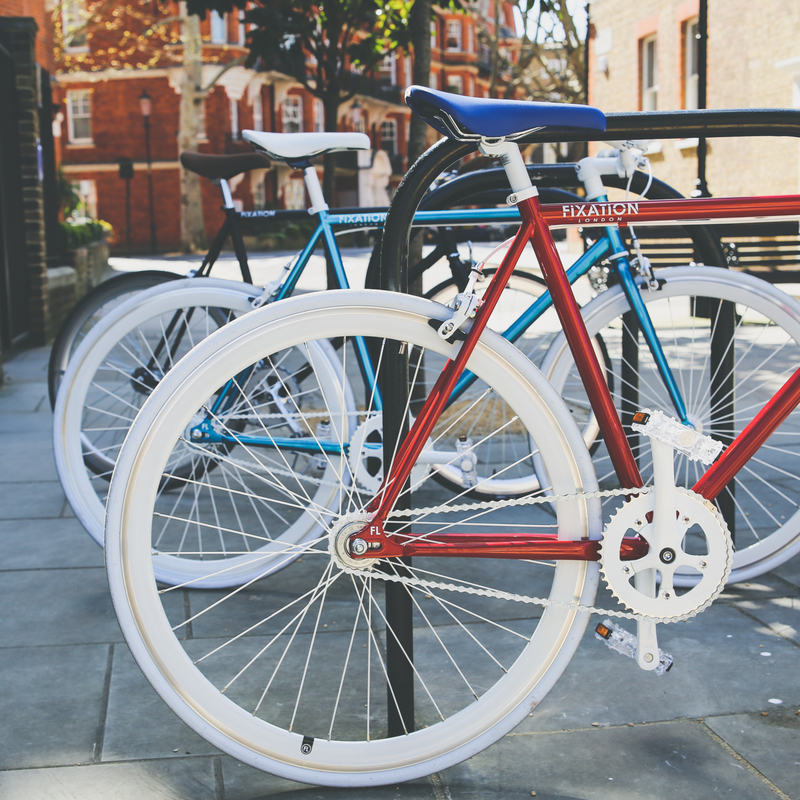 And so we introduce you to Covent Garden’s newest residents, purveyors of well-designed, beautiful and affordable fixed gear bikes – Fixation. Since launching online in 2014, the brand has made quite the splash; amassing over 10,000 Instagram followers with their two wheeled eye candy. Now their many fans can see them in the flesh, and let us be the first to tell you it’s worth it! What was once a generic high street store is now a stripped back mecca for urban cyclists, complete with bike adorned walls and a gallery space downstairs. Team I-AM were there to raise a toast at the launch and we were joined by quite the crowd, admiring such wares as foldable helmets, wearable locks and innovative storage hooks – as well as those lovely bikes. So whether or not you count yourself a cyclist, there’s plenty to see at 5 Earlham St. And you might just end up pedalling away! I have too many bikes. Said no cyclist ever!